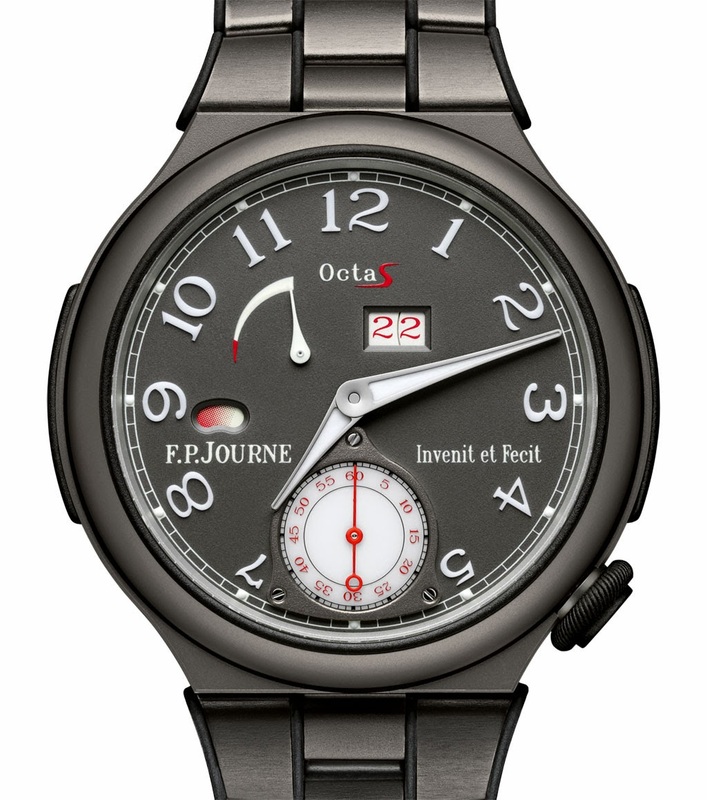 F.P.Journe enriches its Sport collection with a new variation of the Octa Sport featuring a Grade 5 titanium case in a dark grey tone with matte finishing and rubber inserts. The diameter is 42 mm. The Octa Sport Titane is proposed with a matching titanium bracelet with rubber inserts fixed to the links or with a black rubber strap. The movement and dial are made of aluminium alloy contributing to the exceptional lightness of the Octa Sport Titane: the watch weighs just 60 grams when combined with the rubber strap or 70 grams with the bracelet. 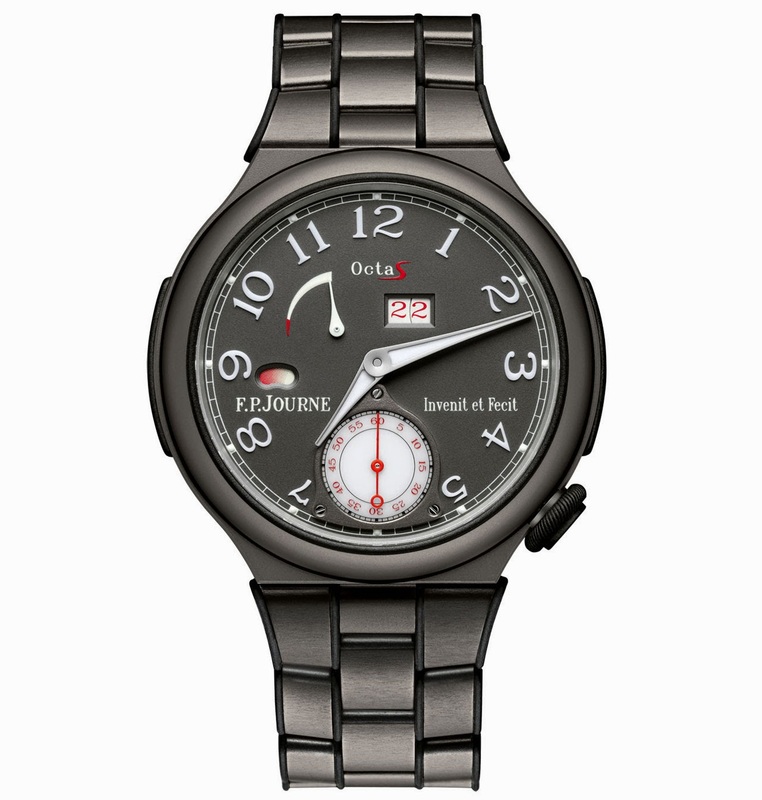 The dial has small seconds at 6 o'clock, day/night indicator at 9 o'clock and large instant jump date at 1 o'clock. At 10:30 we find the power-reserve display (120 hours or 5 days) whose hand shows the remaining energy on a 90° sector. The Super-LumiNova coated hands and appliqué indexes stand out against the dark grey dial for easy legibility even in low light conditions. The movement is the Automatic Calibre FPJ 1300-3, beating at 21,600 vibrations per hour and featuring a rotor in titanium with tungsten segment which takes advantage of each movement of the wrist. Available from all F.P.Journe Boutiques and points of sale, the F.P.Journe Octa Sport has a retail price starting at around US$ 27,000 / Euro 20,000. 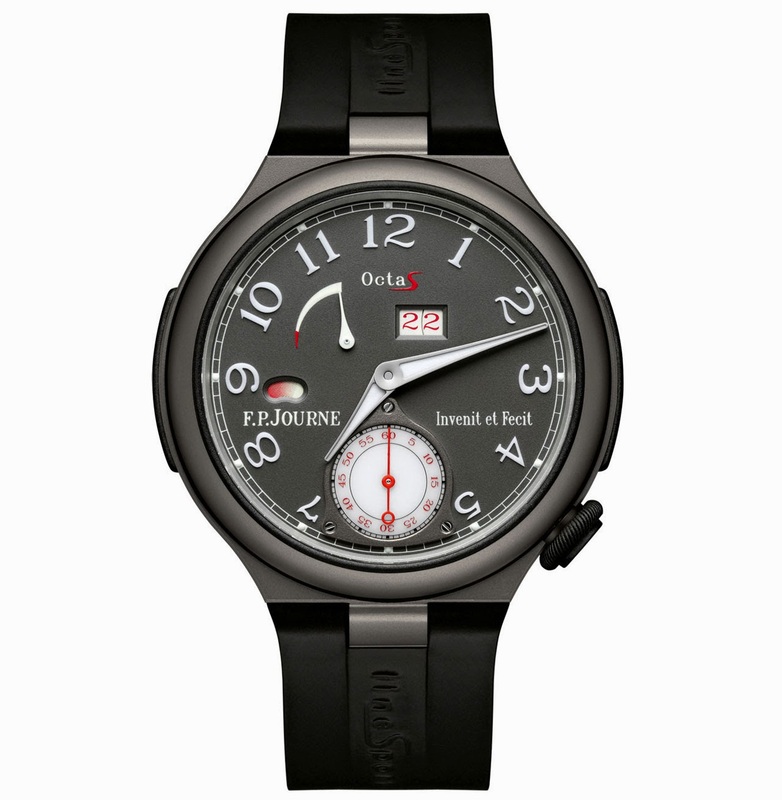 F.P.Journe enriches its Sport collection with a new variation of the Octa Sport featuring a Grade 5 titanium case in a dark grey tone with matte finishing and rubber inserts. The diameter is 42 mm. The Octa Sport Titane is proposed with a black rubber strap or with a matching titanium bracelet with rubber inserts fixed to the links. 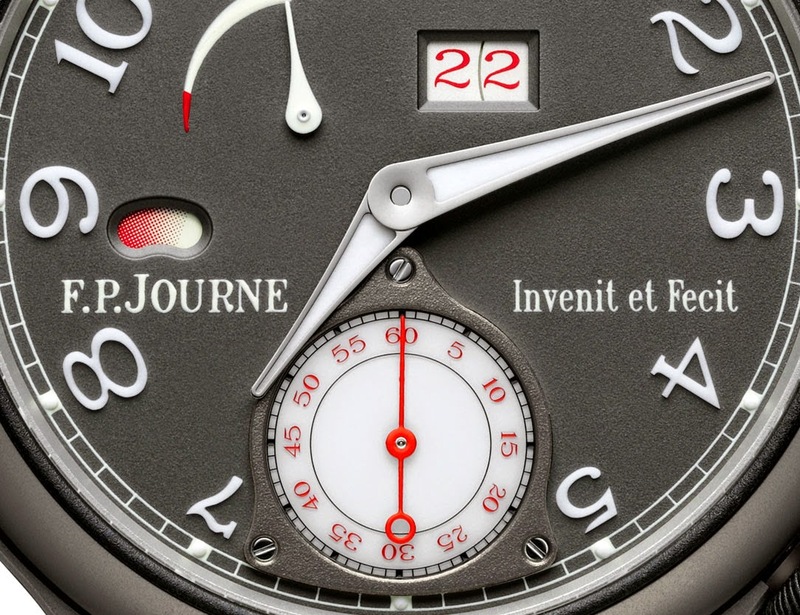 Available from all F.P.Journe Boutiques and points of sale, the F.P.Journe Octa Sport has a retail price starting at around US$ 27,000 / Euro 20,000.